My name is Zaira, I have been in childcare services for four years. I'm very responsible with my work and take it seriously. Skills incude patience and efficiency, which come in handy when working with multiple children. Fast learner, and adaptable to any situation. 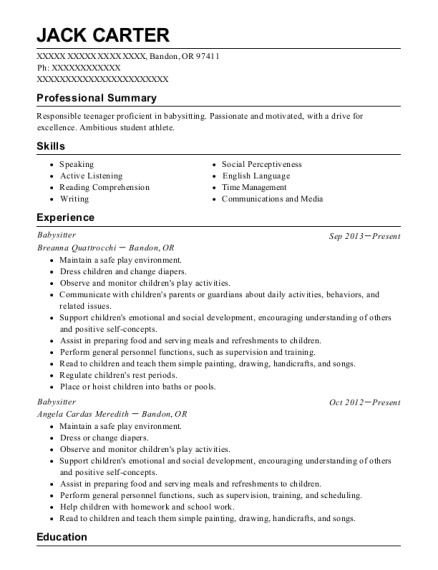 Passionate about working with children and looking to gain more experience. Teach children Spanish and help them better their English reading and writing. 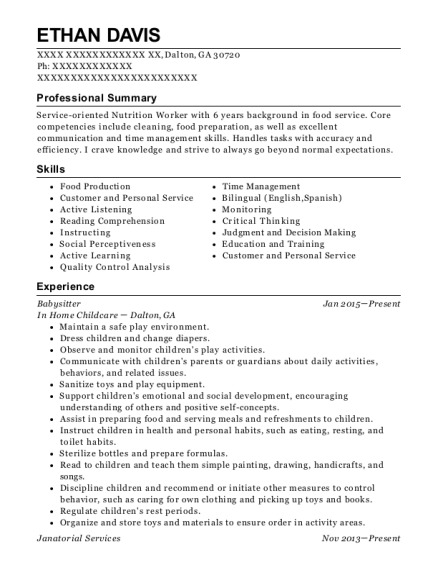 This is a resume for a Babysitter in Los Angeles, California with experience working for such companies as Carmen Espaa and Alexandra Bermudez. 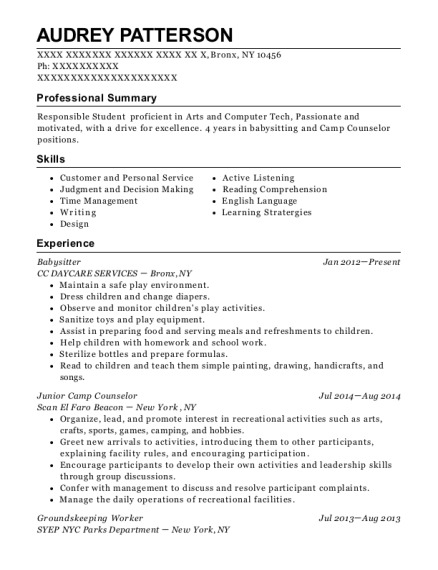 The grade for this resume is 0 and is one of hundreds of Babysitter resumes available on our site for free. 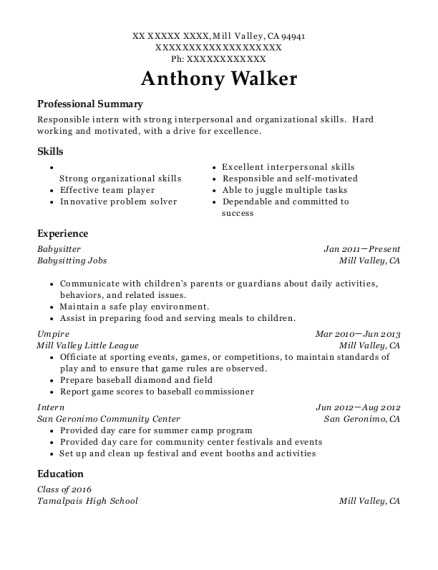 Use these resumes as templates to get help creating the best Babysitter resume.